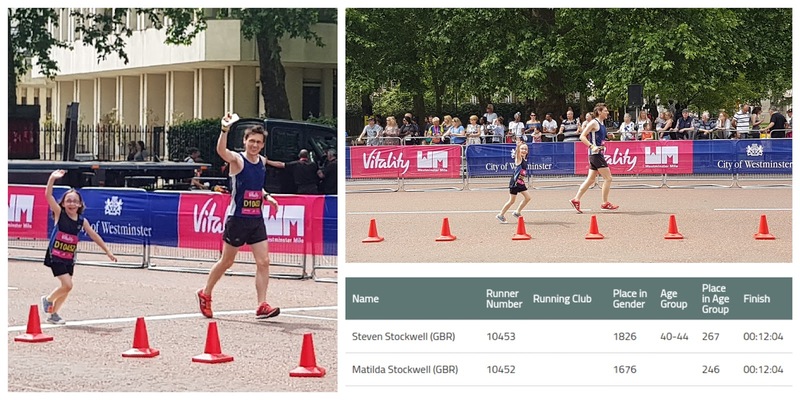 The Westminster Mile 2018 had the same setup as previous years. 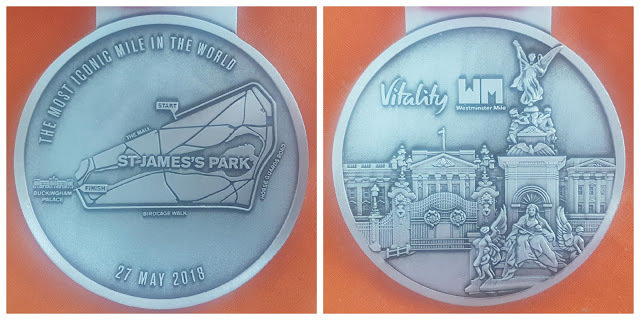 Namely a great race village in Green Park with all kinds of things to do and for us a kids area where my daughter always loves to have her face painted. Over the last few years I have run my own time trial while my wife and daughter would follow behind at their own pace. This year was a little different because we'd just had our second child and my wife wasn't taking part. So I entered me and my daughter into one of the family waves and we ran together. Also a little different this year was the wave I entered - for the last few years I had run in the Sweatshop Running Community wave, however that wave has now been discontinued and while it was tempting to enter the parkrun wave instead, we stuck to one of the regular ones so we could leave enough time to catch the Monaco GP afterwards. Our wave start time was scheduled for 11.20am, so we headed over to the start line at 11.10am to ensure we wouldn't miss it. What I hadn't factored in was the fact that we were had a D in our race numbers and waves A-C would be set off before us. The wait in the start pen was about 40 minutes, and by the time it came around to our wave starting we were very hot, thirsty and fed up. I could easily get over this, but it wasn't so easy for my daughter. So when we finally got sent on our way, she wasn't as enthusiastic as she was 40 minutes earlier. Couple that with people randomly stopping on the course and I could tell this wasn't going to be a good year. As we made our way through the half-way stage, I could see that she just wasn't into it anymore - the heat was too much and she just wanted to see her Nan, Grandad, Uncle and Cousin, who were waiting near the finish line. Fortunately the final 100 metres saw some enthusiasm return and she unleashed her mission impossible sprint finish. After picking up our medals and goodie bags, we met up with the family and had some overpriced ice cream in the sun. An hour or so later and it was time to head off to watch the Formula 1, so we packed up our bags and left. It had been a great morning out, but sadly the run itself was a little disappointing. Our results were sent by text message the second we crossed the finish line, which was pretty cool. She got around the course in 12.04 which was slower than the previous year by 13 seconds. Not surprising given the situation. For me, it was nice to finally go around with her rather than busting my guts, so from that point of view it was good.